An evening dedicated to self-love, the essential foundation for building our inner warrior and strength. On this Full Beaver Moon, we invite you to join us for an intimate gathering of Sisters. We will commune and share the power of the circle, to unite us in a time when emotions run high and our bodies are calling out for release. We will be examining how to transmute the energy of repression, self-doubt and feeling demeaned through self-love. What does it mean to dig deeper when we are pushed, or disrespected? How can we use challenges to our value to go bigger and respect ourselves more? How can we stand up for what we declare as our standards as women? How can this all be done from a place of love, and positive affirmation of our worth? This is a time of women’s fire rising. Can you feel it in you? Reconnection with our own source of love, that which stems from within us, is vital to our ability to stay strong and centred in who we are. From this place of connection, we begin to master our ability to ride the waves life brings us. We begin to redefine our future, by holding what’s possible for us. We begin to speak from the positive knowing of the care, respect, love and kindness our souls deserve. We become the change. Join us if you feel the call to co-create a positive future. Goddess warriors of love, unite! It is powerful times we are in. The evening will be guided by Energy Medicine Woman and Oxford University graduate Shelly Burton. Channeled wisdom, crystal bowl sound healing, drum rhythms and written exercises will steer the journey. 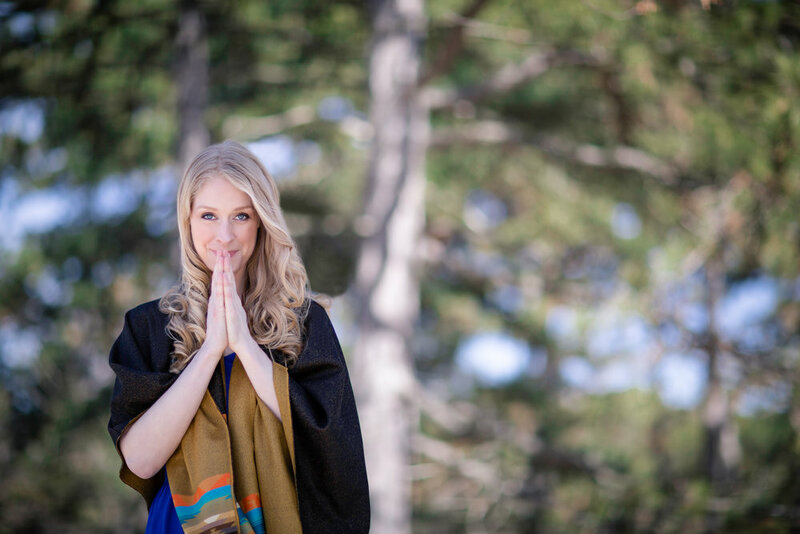 Li Samadhi will amplify your strength and self-love through medicine music and mantras. Please note that you will have the option to share your experience with the group. Confidentiality is absolutely respected. "It is a time to prepare for the calm and quiet of the impending winter. It is a time to bring all things to a point of rest. Finish up on the projects of the summer and fall. As our friend brother bear, and sister squirrel are nestling down in to the winter slumber, now is a perfect time to do the same. It becomes a time of quiet self reflection and internal peace. As the winter begins to set in, it becomes a time when we shall honor ourselves with meditation and silence. As the hectic summer days of activities slow to a stop, we are reminded by nature that we should slow down and store up for the winter sleep. Li Samadhi will be offering medicine music to activate your soul's memory of strength. Her angelic voice will stir you from the depths of your soul. Li Samadhi's angelic voice and rhythm making. Time: 8 - 10:30 pm. We begin promptly at 8 pm.